I Love Handmade soaps. My Husband made them for awhile I loved them. I wish he still made them! 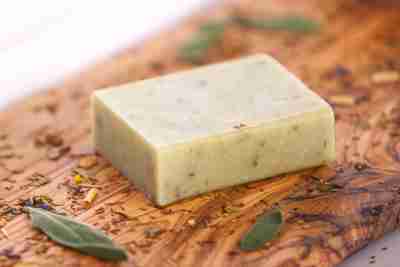 The Green Tea Goddess Soap Sounds amazing. Especially being organic. However I don’t like the little seeds in it.. I have used soap with seeds in it before and I can’t stand the little seeds all over me.. Have a Nice Day! Hi Cathy thanks for your comment! How nice your husband knows how to make homemade soaps. I would definitely try to get him to make some more, it is nice to be able to control what ingredients you put in your soaps. You know I never noticed what you called “little seeds” when I used the soap. I went back and used the soap and thoroughly lathered up my hands to see if anything was left on my skin. I am not sure what those little flecks are in the soap, but they seemed to disappear into the lather and nothing was left on my skin. I do feel the little flecks exfoliating my skin, but that was it. I hope that helped 😀 I am working on a new giveaway that should start either monday or tuesday for 3 really great sugar scrubs that you may be interested in. The giveaway will last for 3 weeks so you have plenty of time to enter. Oh, boy, I love this kind of thing! Soaps, creams, cleansers, etc., especially organic/natural products, really appeal to me. This one sounds really nice. I adore pampering myself with good handmade products. A few times a year I break out my molds and make small batches of soap. I have gotten a bit lazy over the past few months and have not done it. So I have been purchasing from a little shop that I just love right here in town. I think this line sounds wonderful! Thanks for sharing such a great product. Homemade products seem to be the most healthy for your skin. As someone who suffers from dry skin I find this very true. Thanks for the review! Still love the handmade soaps without any seeds in it. I loved the soap my Husband used to make. Wish he still made them..
I’m definitely going to try these soaps, they sound delightful and I like what isn’t in them. 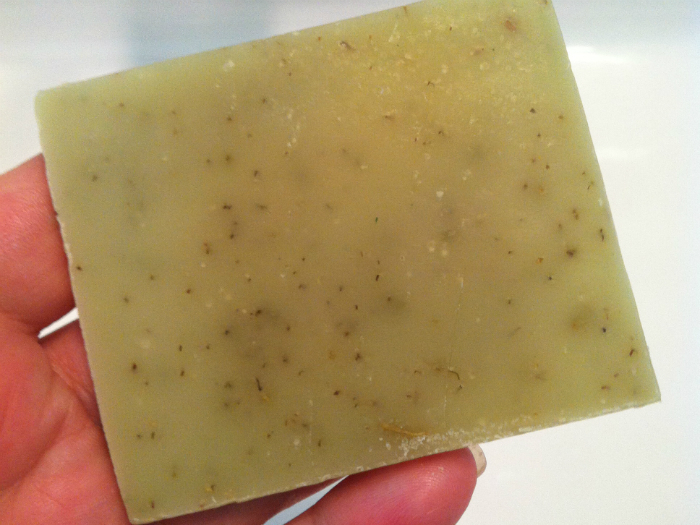 I usually avoid bar soaps because they dry out my skin and have an overpowering smell. I can’t wait to see/feel for myself! Thanks for the code too! You are welcome and thank you for your comment 😀 I know you will enjoy your soaps and your discount code. I am definitely going to try these soaps. Thanks for such a great review. Okay I will definitely do that. The green tea one sounds nice and I think I would like their Sea Breeze one too. But these really remind me of my sister.. she loves and appreciates homemade soaps even more than the average person and I know her favorite would be their Luscious Lavendar! Thanks for the review! I checked them out on Amazon, because of your review too. Thank you Yvonne what a sweet comment. I am so glad you liked my review. I think one of these soaps would make a great gift for your sister 😀 I am really falling in love with homemade soaps too! 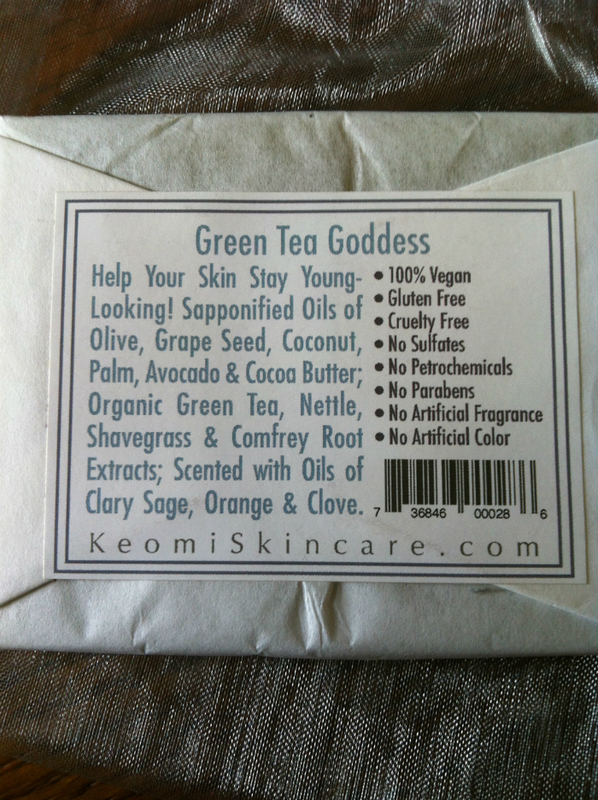 The Green Tea Goddess soap from Keomi Skincare sounds amazing. I drink green tea every day but I have never used a green tea bath soap. I would like to try the GOLDEN CROWN and the SEA BREEZE. Thank you for sharing this review.